Amy Love had her first seizure almost 25 years ago. So Amy did what many newly diagnosed people do—she saw a neurologist and started taking medication, but she never gained seizure control. Soon after she lost her license and was forced to rely on her family for help for even the simplest, everyday tasks. Life was riddled with uncertainties: Would Amy lose her job? How would she get to work? What if she had a seizure while she was home alone? Many long, difficult years passed as Amy never received the care she, or anyone with epilepsy, deserved. Her family went above and beyond to support her, but knew things needed to change. In 2012 they reached out to the Epilepsy Foundation Eastern Pennsylvania for help. Together the Love Family attended the Foundation’s support group in Reading, PA. Although nervous at first, Amy was overjoyed to find a supportive environment where she could connect with others facing the same challenges. Taking this first step would change the course of Amy’s life forever. After learning about Amy’s struggles, an EFEPA Resource Coordinator advised her to seek better care with a new doctor. Equipped with the knowledge, skills and confidence she gained through the EFEPA support group, Amy sought new medical advice. Sure enough, Amy’s new neurologist quickly determined that she was a candidate for temporal lobe surgery. Amy’s surgery was a success and she returned back to work shortly thereafter. Amy has been seizure free for over a year and received her license back this past May! Most importantly, Amy now has a better quality of life and full access to all that life has to offer. You can meet Amy and her family at the Reading and Lancaster support groups, which they still attend regularly. Although Amy’s story has a happy ending, too many people in our community are still struggling against seizures. Transportation alone can keep people from maintaining jobs, finding the best medical care and finding support services. We cannot allow epilepsy to deny people the right to safe, happy lives. But a gift to the Epilepsy Foundation Eastern Pennsylvania will ensure that everyone with epilepsy are able to access all that life has to offer just like Amy. 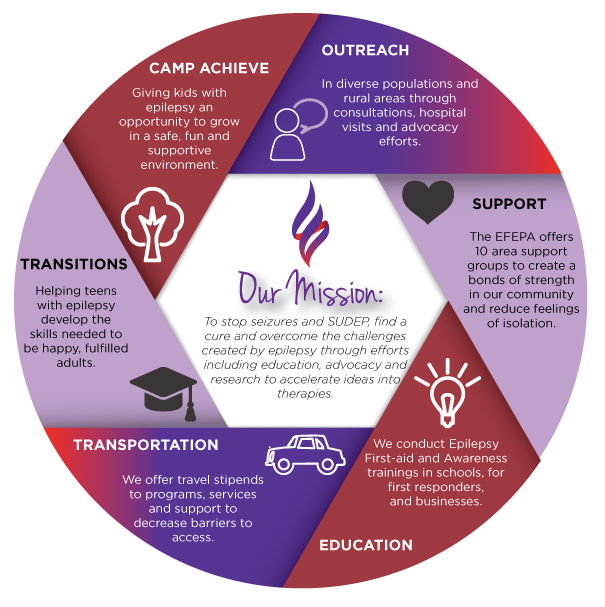 Your support will allow us to continue our free programs and services such as support groups, transportation stipends, educational conferences and one-on-one consultations for those affected by epilepsy. Click here to help us reach our goal of raising $32,000 to make a difference in the lives of those affected by epilepsy. Show the 110,000 people living in our 18 county service area diagnosed with epilepsy that they are not alone. 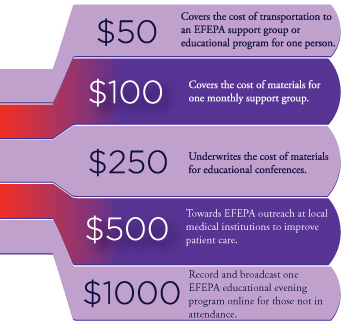 Your gift will ensure that everyone with epilepsy feels empowered to take control of their diagnosis and enjoy life.